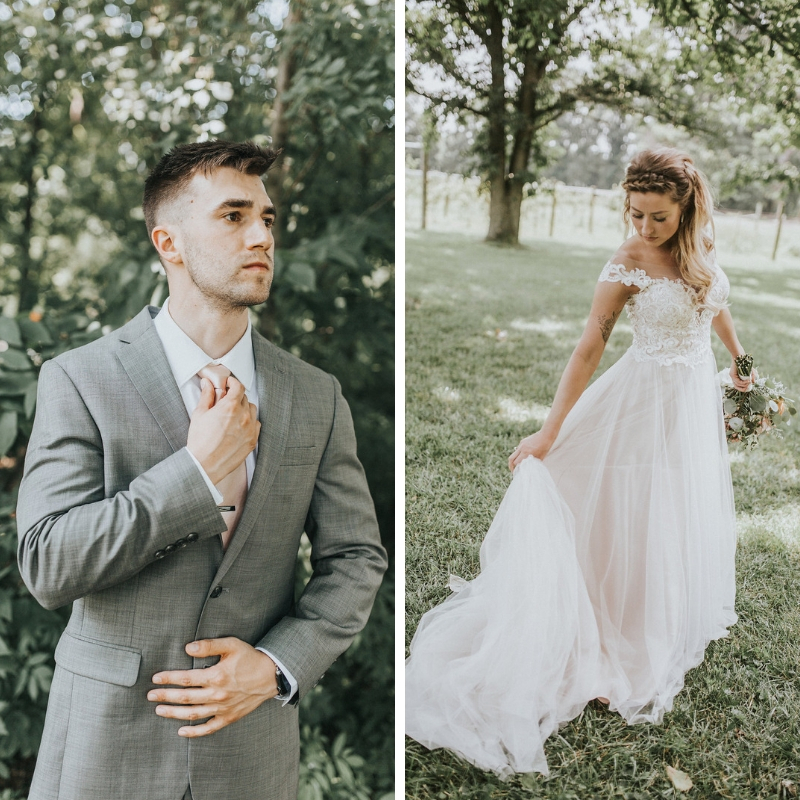 Krista & Chase tied the knot at a beautiful ceremony tucked beneath a vibrant green forest with a gorgeous and lively barn reception that followed. 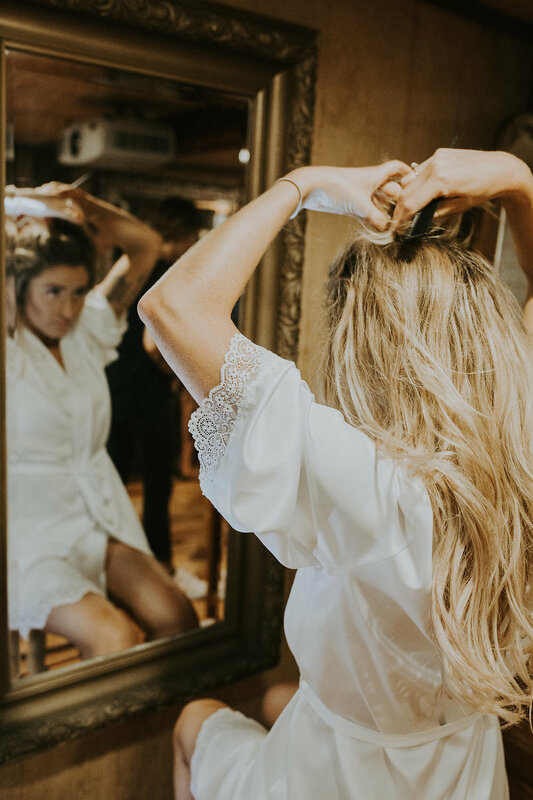 Complete with gorgeous flows bridesmaid dresses, soft pink blooms, and a feeling of love and excitement throughout the whole day, this couple had a dream wedding! 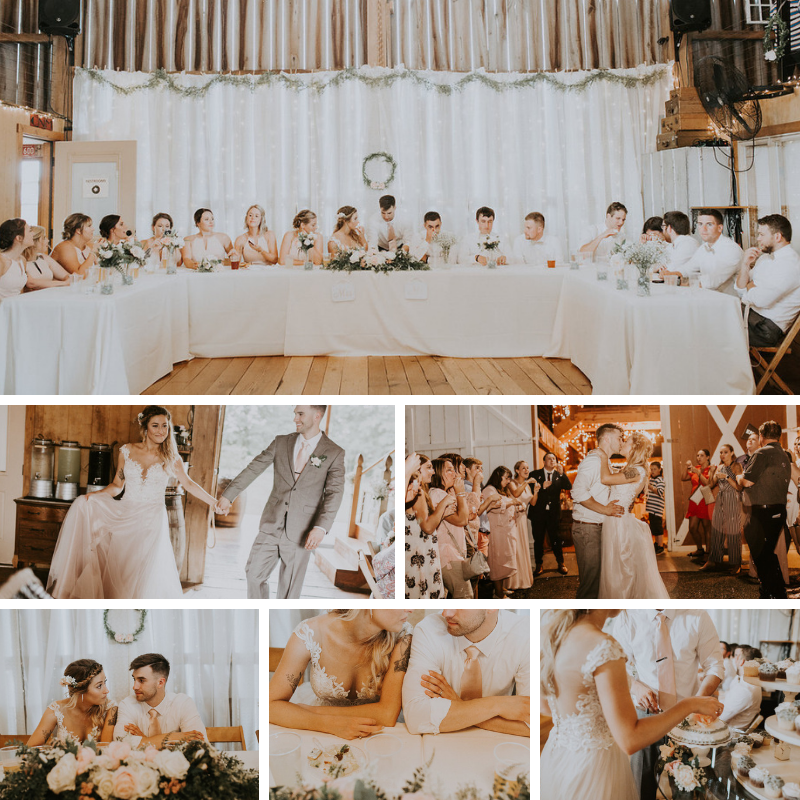 The coveted barn wedding has been all the rage within the wedding industry and this is just another example of the beautiful day that a barn wedding can create for any couple. Krista and Chase’s wedding day was filled with little touches that made this wedding truly stunning. Krista’s bouquet was a gorgeous combination or vibrant peach and pink hues. Chase’s groomsmen party was full of personality which emanated from the photos Jenifer captured. The reception featured lots of dancing and scrumptious looking display of a one tier cake coupled with delicious cupcakes. All of these beautiful images were captured by the incredible Jenifer D Imagery. You can visit her site here to see more of her work! Keep scrolling to see more of the wonderful touches and beautiful moments that Krista and Chase had on their special day! Can’t get enough of their gorgeous wedding? 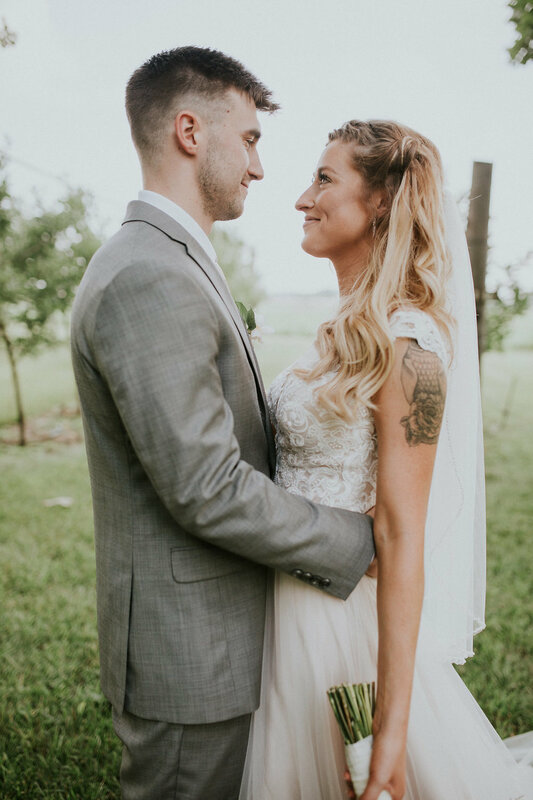 Check out their full album in our Real Weddings section!